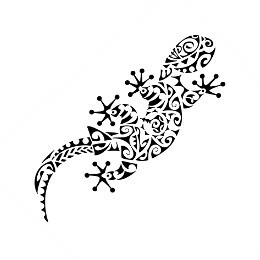 Philippe requested a gecko tattoo made from several elements related to his life. 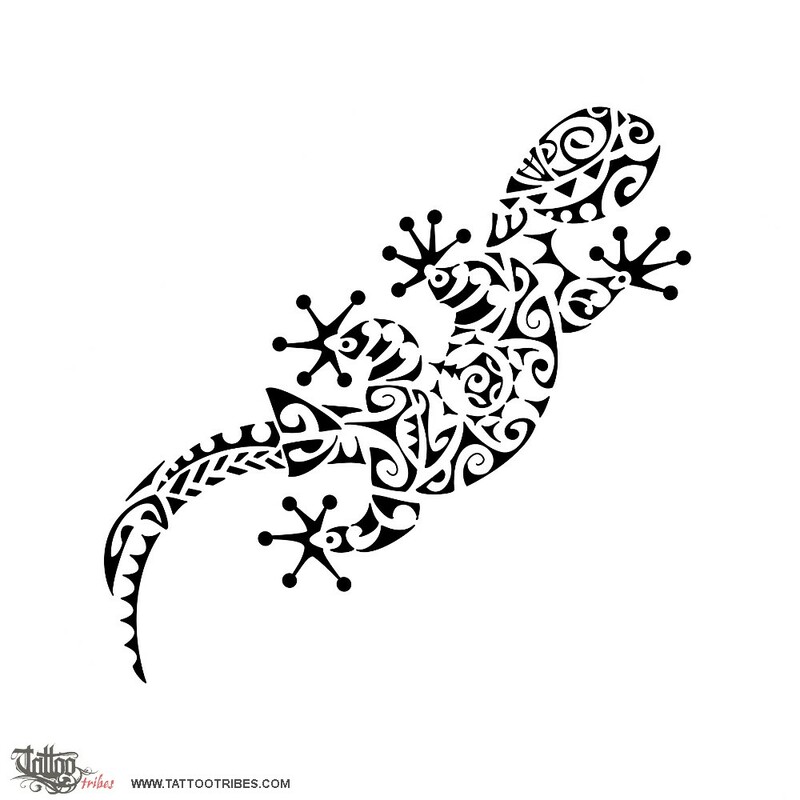 A turtle (family) forms the head of the gecko, with a tiki being the shell for protection, while the first letters of his family members, M, M, E and T were placed one on each leg of the gecko (they give him stability) with a dot next to each one to represent their importance. A manta was placed inside the body of the gecko along with waves and a sun inside to represent voyage, sunny times and diving. The back and tail of the gecko include a hammerhead shark for tenacity and determination while the braid symbolizes union. A fish hook was inserted for prosperity.